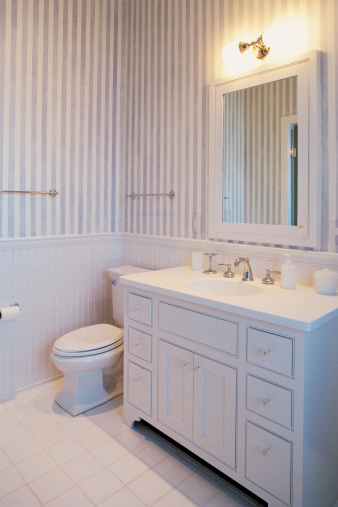 The moisture in bathrooms, along with the opportunity for concealment in sink and tub drains, provide the perfect habitat for many types of bugs. The small, fast-moving grey bugs that often appear in bathrooms and other moist indoor areas are called silverfish. These insects are harmless to people, but in large numbers they can cause significant damage to wallpaper and other materials in the home. 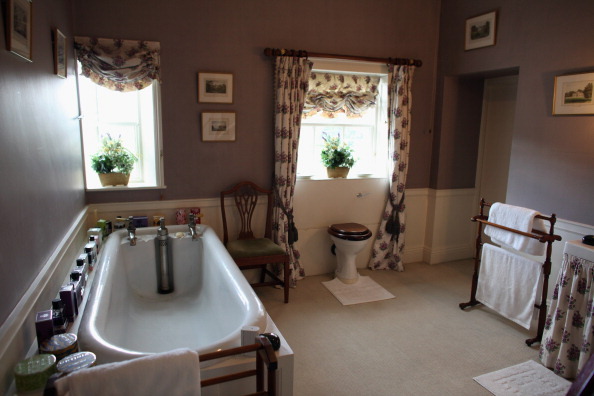 Bathrooms provide suitable conditions for many bugs. Silverfish is a species belonging to the most primitive group of insects called Thysanura. There are approximately 370 species of silverfish worldwide, with only about three that tend to be found in human dwellings. They are wingless with a flattened body, approximately 1/2-inch long when fully grown. The scales covering the insect give it silvery-grey color that can appear metallic. Silverfish are easily identified by their long antennae and three appendages that resemble tails at the end of the abdomen. Immature silverfish resemble the adults, are smaller in size and have similar behaviors. Silverfish are nocturnal and live in moist areas such as leaf litter or under bark and rocks. Indoors, they seek out similar conditions in basements and bathrooms. They feed on starchy materials such as wallpaper glue, books, crumbs and dead insects. Their quick, wiggling movement resembles that of a swimming fish. Silverfish feed on wallpaper glue, causing it to peel and stain. Silverfish can enter the home through tiny cracks, but they usually arrive in items that are brought into the house. Building materials, cardboard boxes, books and even some food packaging can contain silverfish eggs that will quickly hatch in the moist conditions of the home. In small numbers, these insects do not pose a threat. Over many years, however, the population can grow to become bothersome and damaging. 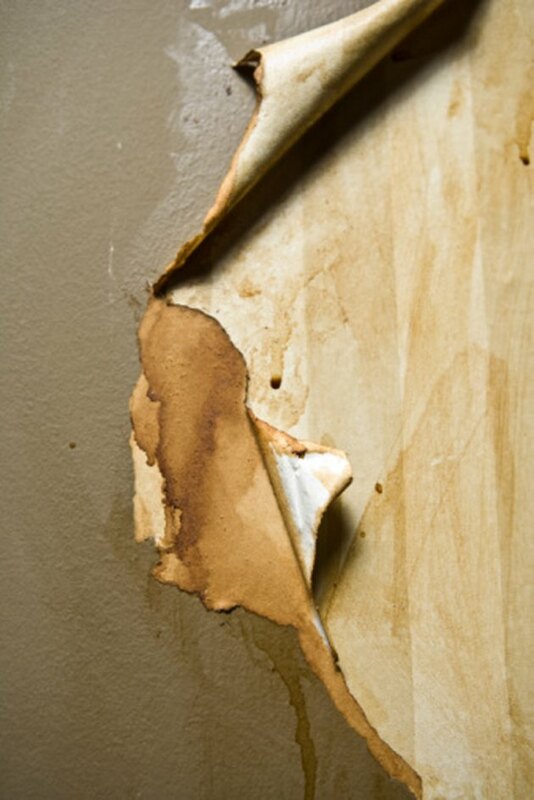 Excessive silverfish can cause wallpaper to peel and stain, and can cause damage to home book collections. By far the best treatment for a silverfish problem in the home is to keep everything clean. Regular vacuuming can eliminate some of their food sources as well as their eggs. Reducing moisture also helps. Make sure that bathroom fans are operating to eliminate as much moisture as possible. Well-maintained plumbing also will help to reduce silverfish numbers. For severe infestations, chemical treatment may be required. Several pest control products that target silverfish are available at hardware and home improvement stores. What Are the Little Yellow Worms in the Kitchen?